Only moments ago M. Night Shyamalan and the cast of Glass just debuted the anticipated film's first trailer. This has been a long time coming for fans of Shyamalan's 2001 superhero drama, Unbreakable. The wait was made worth it with the surprise ending of Split, which reintroduced us all to Bruce Willis' David Dunn. Glass will bring together Dunn along with James McAvoy's The Beast and Samuel L. Jackson as Mr. Glass. Why wait? Here's the trailer now! Joined by the returning Anya Taylor-Joy and new addition Sarah Paulson, Glass takes place in a mental institution where Dunn, Kevin Wendell Crumb, and Mr. Glass are all being treated for delusions of grandeur, basically believing they are characters right out of a comic book. 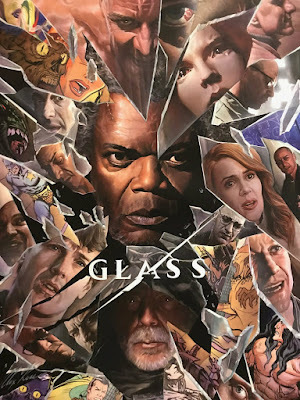 Glass opens January 18th 2019.